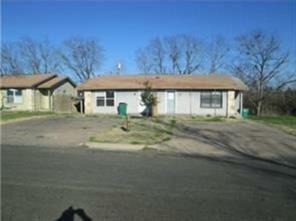 2 bedroom 1 bath duplex in the heart of Taylor TX. Minutes to the toll road with easy access to Austin or Georgetown. Freshly updated paint and carpet. Large backyard with plenty of room! Kitchen opens to the large living room. Easy application process.